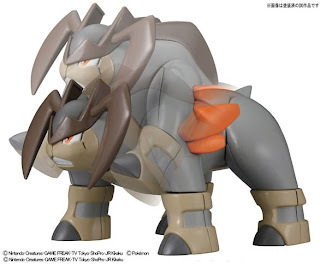 As we reported on World Hobby Fair 2012, Bandai will release Pokemon Plamo Selection Series No.25 Terrakion on 25 March 2012. As for previous lines (Virizion, Cobalion etc), please see these articles. Toho-movie updates the shedule for upcoming movie latest info on the media today. As for Pokemon movie 15 'Kyurem VS The Sacred Swordsman Keldeo', it will be aired on TV as follow. BTW just let you know, yesterday movie poster has been deleted in the original movie site. Just now backed, missing very big announcement Orz. Already some highlights were tweeted and many news sites are reporting about Pokemon new game and movie. Here is re-posting and adding some info. If you have pictures deletion request, please let me know. AAPF will delete them immediately. Others#1 : In the above image of title, red stone and blue stone are there. Are they Ruby and Sapphire ? Or freezing bolt or cold flare ? A new movie poster is revealed today. 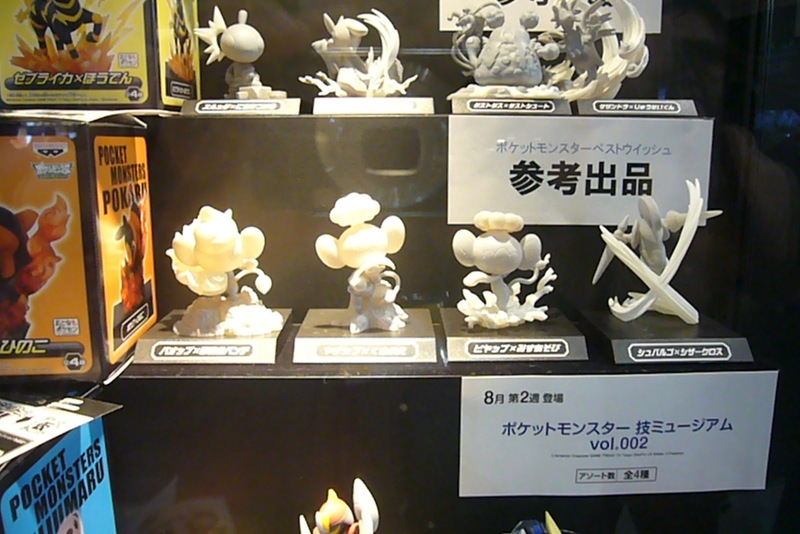 We can see new Kyurem and Meloetta. Meloetta will be appeared in 'メロエッタのキラキラリサタル : Meloetta's Sparkling Recital ' It seems a short film. Details will be known soon. Thanks for the image to Movie Theater Emiful Masaki. So now five hiding Pokemon at AOU 2012 are all out ? 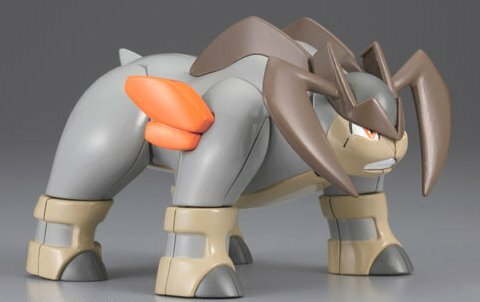 Already revealed Keldeo. 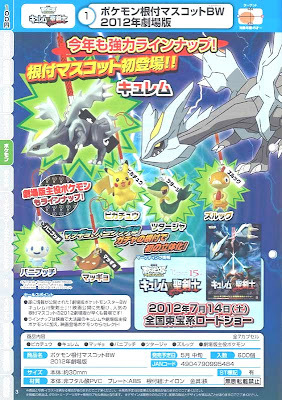 Balck Kyurem, White Kyurem, Meloetta maybe 2 formes. Still one more there.... Is that you G ? Gamefreak Masuda-san visited to Pokemon Center Fukuoka for the fans event today. 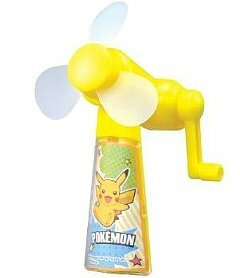 In the fans event, he announced that Extreme Speed Pikachu will be distributed at the Japan Railway (JR) Kyushu Shinkansen. It's a new bullet train line. Details will be revealed on JR Kyushu official site on 27 February 2012. BTW, this new bullet train line was service-in on 12 March 2011, just next day of Touhoku region disaster. The following TV CM for it had been canceled to air unfortunately. However the CM video were popular day by day in the youtube. Because it strongly reminded us to recovery infrastructure and smiles. 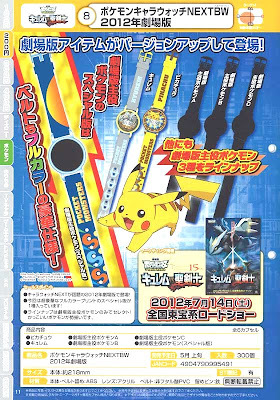 According Cinema City Web, Preoder ticket of Movie 15 'Kyurem VS The Sacred Swordsman Keldeo' gives Keldeo : 今作の主役ポケモンK (and special bag). Starting 14 April 2012. Unknown details attribute of Keldeo and distributed Pokemon in the theater at the moment. 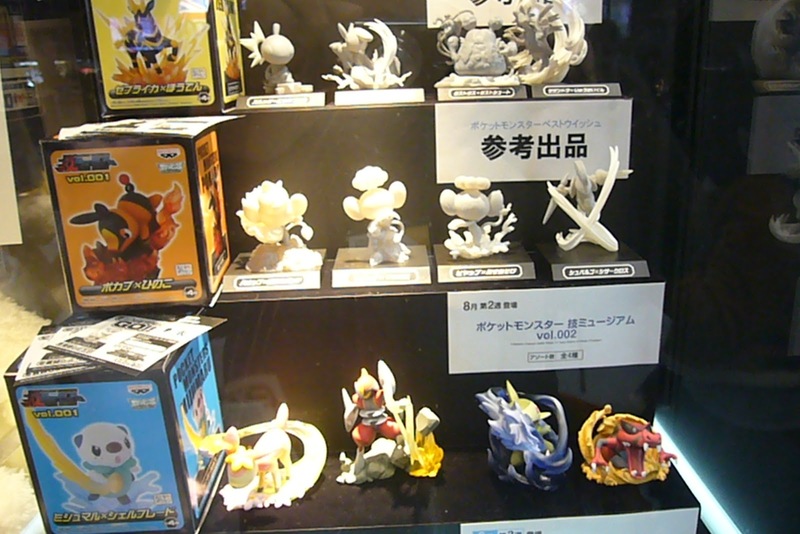 Bandai Pokemon BW Swing will be released in the end of February. 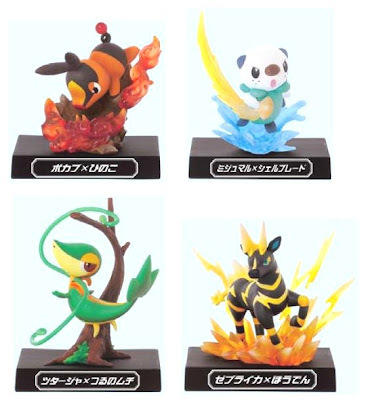 PokeCenJP will release the following plush Canvas series on 17 March 2012. 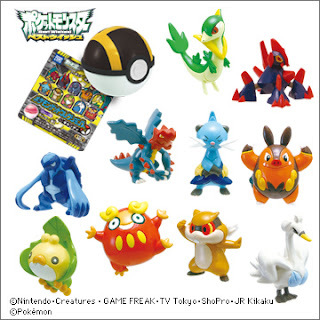 The following articles of Bapresto Pokemon game prize are edited, adding the lines and release month. A new image is uploaded to the following article. 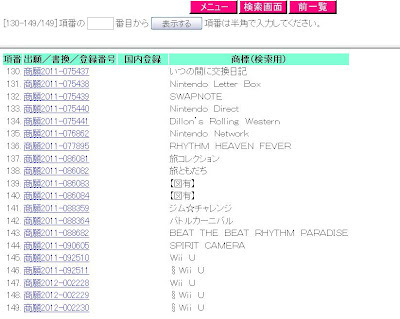 Nintendo Direct will be held on 22 Feb 2012 20:00 JST/22 Feb 2012 11:00 GMT, air on the official site, USTREAM and NicoVideoLive. New release game title will be introduced from CEO Iwata-san. Confirmed no information on Pokemon new game in Nintendo Direct. Expecting postponed to coming PokeSma TV show on Sunday. Do you feel all dots are going to be connected ? 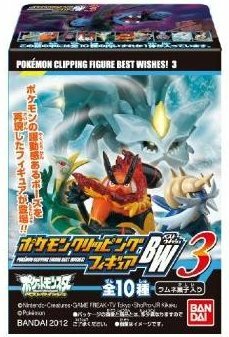 Movie/Merchandise teaser, Kyurem's FC data, Masuda-san's comment for BW sequel version, Masuda-san visited to Kyoto yesterday (Nintendo HQ in Kyoto), coming PokeSma TV show on 26 Feb 2012 (26 Feb is 1st Anniversary of 3DS release). We will report details soon. Gamefreak director Masuda-san event was held on 18 February 2011, Tokyo. In talk session, a fan asked him the following question. A:Can't answer... Well. Only I reply it that please watch next PokemonSmash (TV show). Talk Session Video, Check 4:30. Many thanks to SIZUMA1@youtube. After few hours later, he tweeted. "Please watch next PokemonSmash, Absolutely watch live, Or check my tweet !!" Why now announce ? Why from Gamefreak, not CoroCoro/Nintendo ?? Many questions. Regally, MC is announced in May, release in September. This time seems it will be released in the earlier than September 2012. Anyway, we will report the details soon. 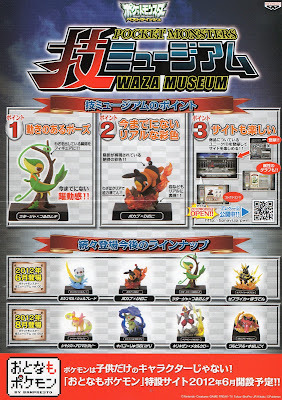 Here is upcoming Pokemon figure new series WAZA (Attacks) Museum 技ミュージアム. Also took the video from top line to 2nd last line. 22 Feb 2012: Added WAZA Museum brochure and lines/sch. Here is upcoming Pokemon plush series My Pokemon Collection and I Love Pikachu. Report#1 of Amusement Operators Units 2012 held on 18 March 2012, Chiba Japan. 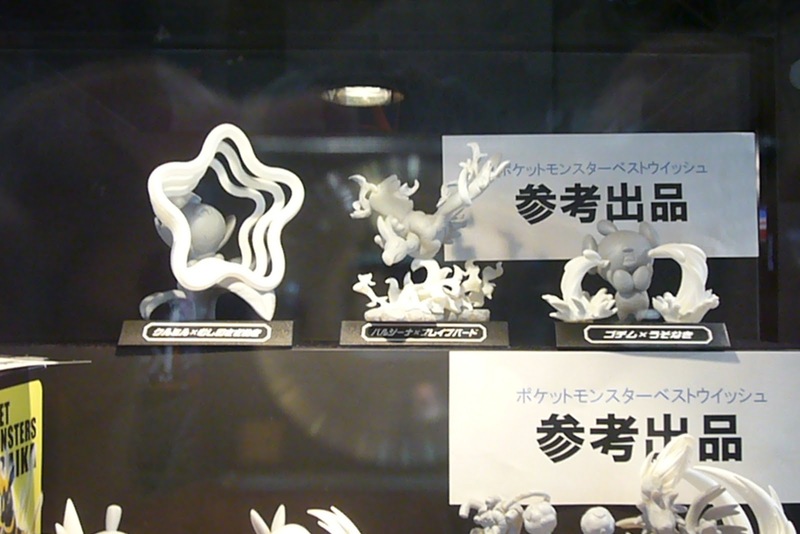 Here is upcoming Keldeo merchandise for the movie 15 mainly. Tomy will release the following Monster Collection figures (MC series) on 17 March 2012. Banpresto will release the following Pokemon plush series My Pokemon Collection in 2nd week of March 2012. Available at Namuco in Japan only. Video file is here. As for upcoming MPC, please see this page. Starting yesterday, the following new CM trailer of Pokemon+Nobunaga's ambition was released on TV in Japan. New trailer includes new Busho. 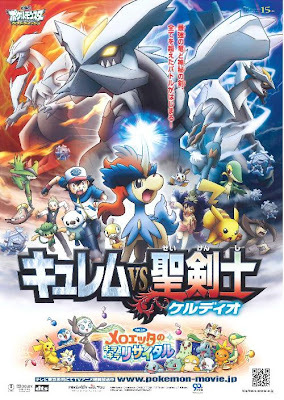 Pokemon Official fan club announces new poster and trailer for Pokemon movie 15 'Kyurem VS The Sacred Swordsman Keldeo'. New poster will be out in the beginning of March 2012. New trailer will be aired in the some movie theaters in Japan, starting 3 March 2012. Keldeo's position in the movie is revealed by the movie official site. It's a trainee of Sacred Swordsmen. Movie story looks Keldeo's growth process, then finally Keldeo will be one of Sacred Swordsmen. OK, Swordsman Keldeo is suitable for the movie title. 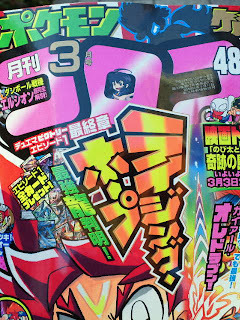 The following image is a scanning for teaser of next CoroCoro April magazine, it will be released on 15 March 2012. We've already know that Keldeo will appear in the movie 15th by previous articles. ThePokemonCo and movie sites announce Keldeo officially today. 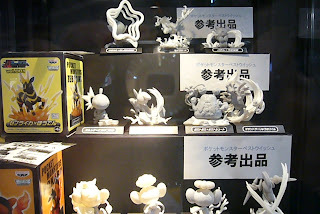 Bandai will release 10 figures of Pokemon Clipping Figures BW 3 in May 2012, candy toys and figure dynamic pose. Previous Clipping Figure Movies came in last July. Welcome back ! 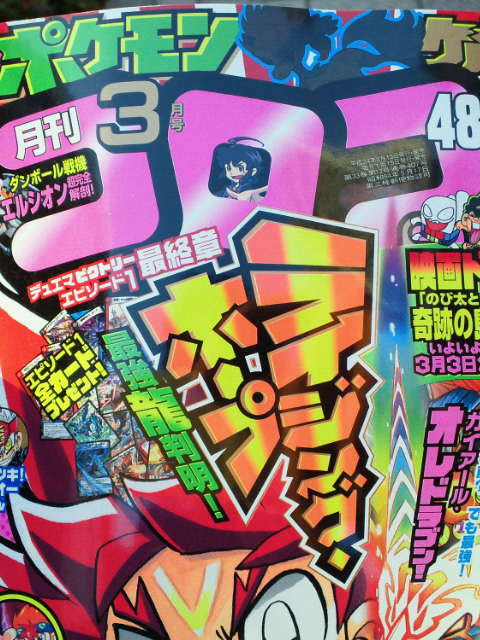 Keldeo is confirmed on CoroCoro March 2013. Movie 15th title is 'Kyurem VS The Sacred Swordman Keldeo'. 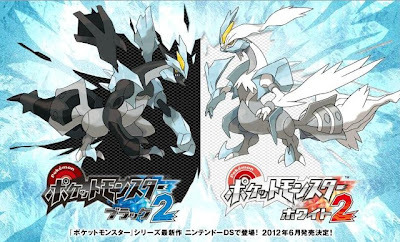 No info on Kyurem's forme changing.. Many thanks for the first images to Pokemon Nobunaga#10 and Anime#131 thread in 2ch, have been replaced. ADD : Keldeo is announced in the official sites. 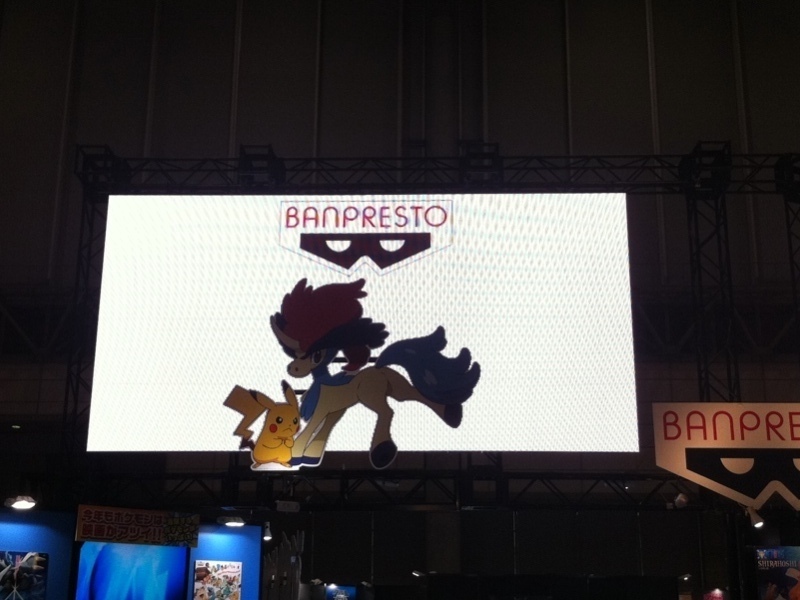 Banpresto announces the following game prize info today. 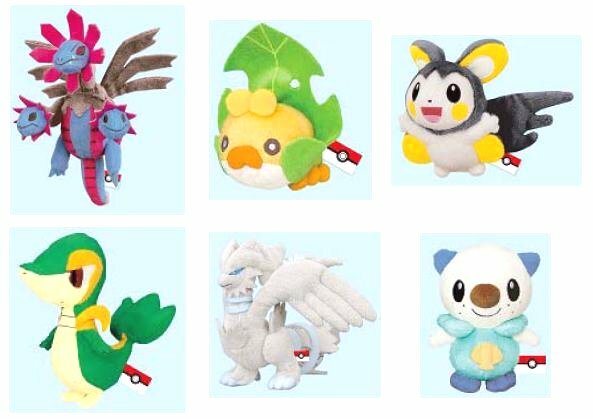 Every Unova Pokemon plush series : MPC, 92 plushies has been released at the moment. 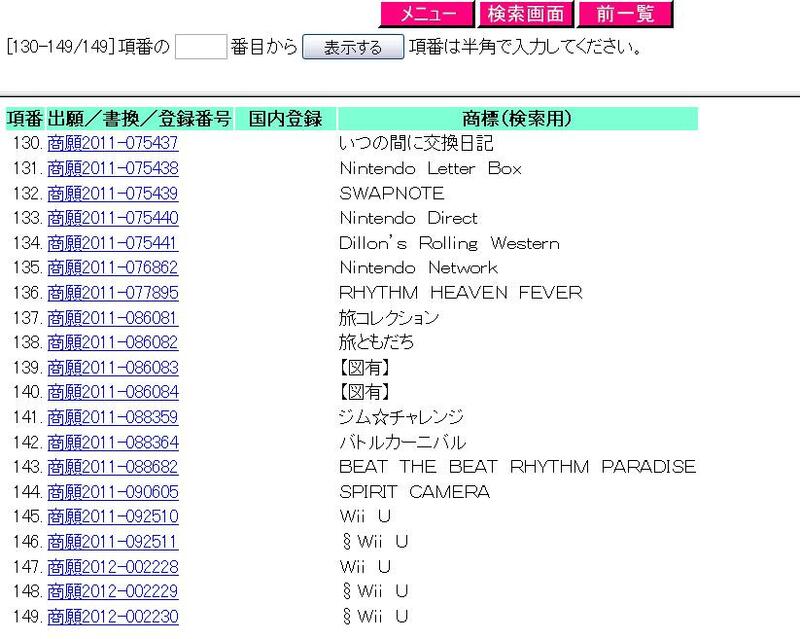 According user request in the mobile site, best 6 of the ranking will be re-release in June 2012. As for upcoming MPC lines, please see this page. As we reported on this new serieｓ, Banpresto will show the final products (not prototype) in Amusement Operator's Union AOU Expo dated 18 February 2012, Chiba Japan. So far 12 lines are revealed. 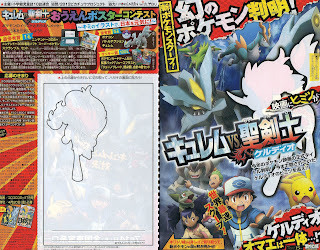 Keldeo's silhouette and name (only ケ) are confirmed on Corocoro March 2012 cover page. See top side in the image. AAPF will post more details and inside pages later. Keldeo info#2 is posting to this article. 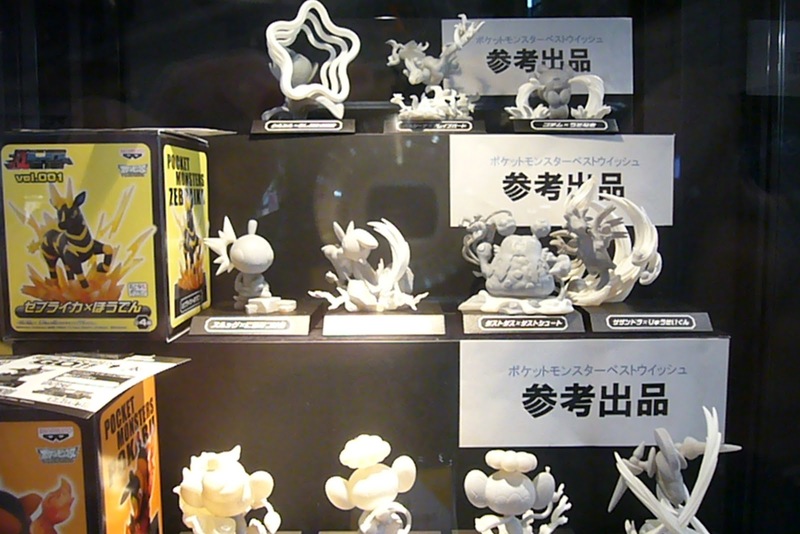 Japanese some sites told that Nintendo applied new trade mark 'Pokemon Adventure Camp'. AAPF have confirmed that it has been registered by Nintendo, Creatures and Gamefreak on the Trademark official gazette database. Not sure that it's a game title or event name of Pokemon with U campaign at the moment. It's confirmed. Please see this article. Japanase some sites told that Nintendo applied new trade mark 'Pokemon Adventure Camp'. However, AAPF checked the official database IPDL (Industrial Property Digital Library), it NOT found at the moment. We will check it continuously. Tomy will release the Earth Friendly Fan Pokemon BW in April 2012. It's a green-consumer products, portable fan. Once turn the handle manually, then fan turns 100 times without battery. Includes changeable cover 3 pcs. Takara Tomy ARTS (TTA) wil release the following figure, named 'Pokemon Get Collection Candy' in May 2012 on 12 March 2012. 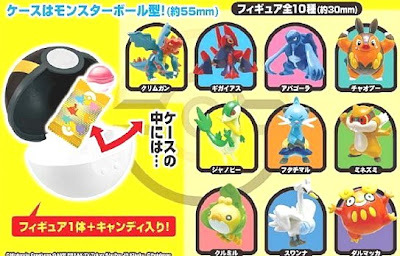 A figure in the Poke Ball capsule, candy toys. 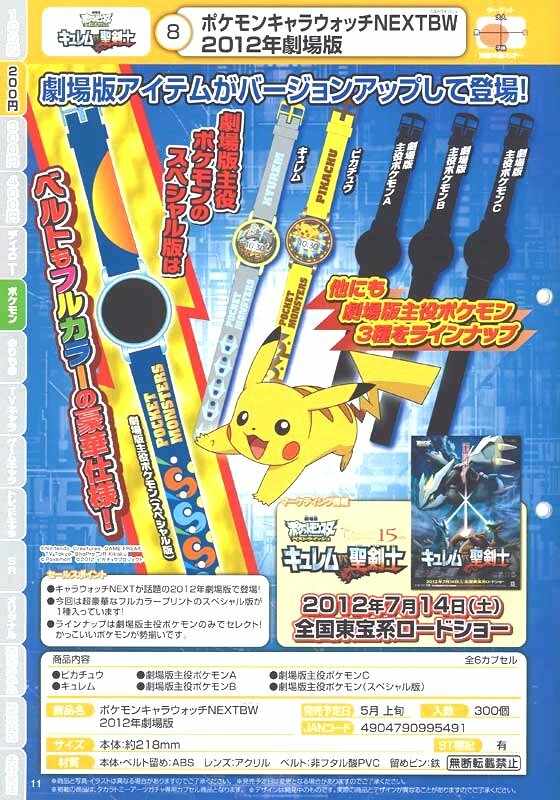 PokeCenJP releases the following lines of Pokemon Figure Strap series #8 on 4 February 2012. As for last November's released series #7, please see this article. The following images from YahooJP Auction. Here is a breakdown list that Takara Tomy will release the Pokemon merchandise in April to May 2012. Will post the details later one by one. Takara Tomy ARTS will release the following capsule (Gashapon) merchandise in May. 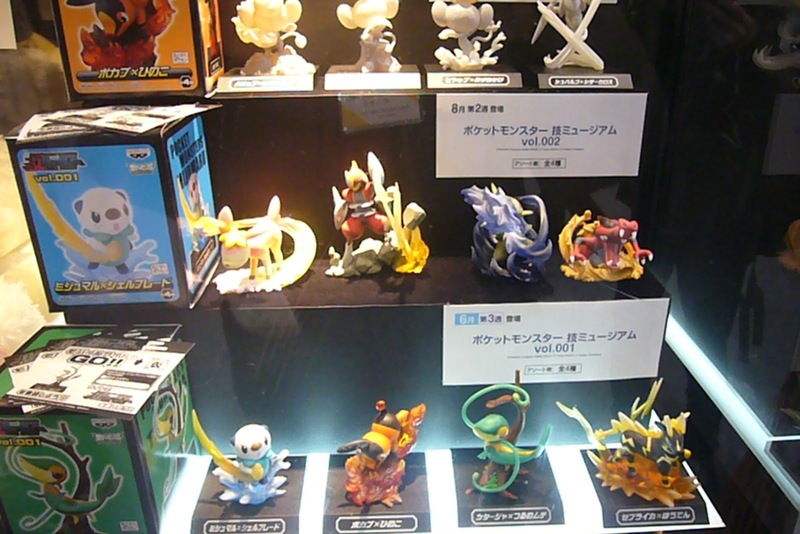 It give us the hints for the movie 15th 'Sacred Swordsmen VS Kyurem'. 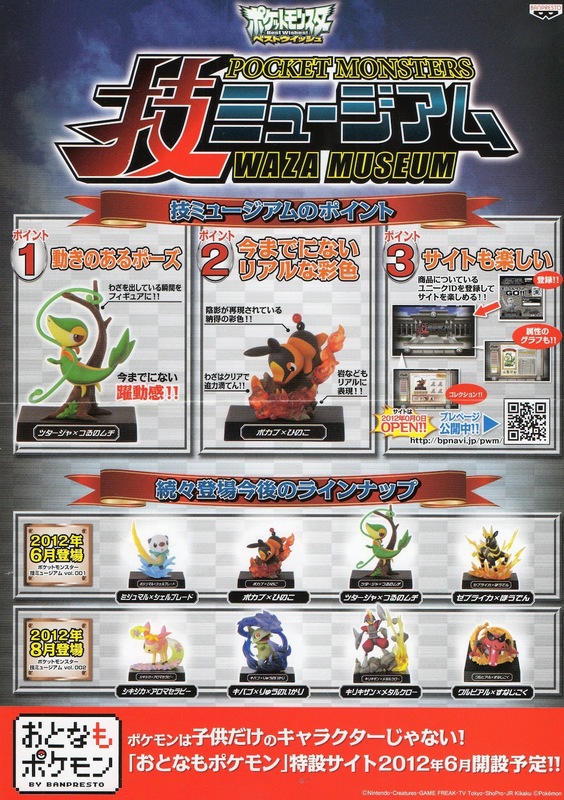 An image of Waza (Attacks) Museum Figure prototype is added in the following previous article.